Looking for the right toy for that special child in your life? It may be more complicated that you think. You need to consider the child’s age, interests, abilities, where he or she plays, and much more. The staff at Becky & Me Toys are experts about toys and play for children of all ages. 1.Focus on the features of the play a toy encourages, rather than on the features of the toy. Think about what the child can do, rather than what the toy can do. 2.Let the child’s developmental level and interests guide your toy choices, not advertising or the popularity of the toy. 3.Look for toys that let the child “tell the story”—toys that leave room for the child to use his imagination in how he plays with the toy. 4.Offer an array of toys and activities that encourage your child to use and explore all developmental domains: physical; cognitive; sensory; speech and language; social and emotional. 5.Remember that kids learn and have fun with all kinds of play materials—as long as they are safe, many everyday objects can become the toy of the moment. 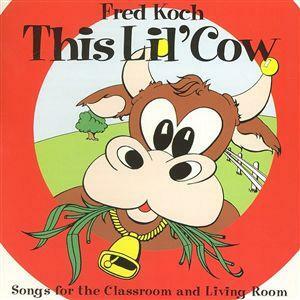 Free children’s concert featuring Teddi & Fred Koch with The Lil’ Cow Band, Sunday, August 28 at 2:00 pm. Sponsored by Midwest Young Artists to celebrate The Music & Movement Center’s move to MYA this fall. This interactive concert is geared for children 2-7 years old. Come join the fun – at the MYA Center, 878 Lyster Road, Highwood, IL (Fort Sheridan). The Lil’ Cow Band is an all-star band of sensational musicians including Steve Rashid (keyboards, trumpet, harmonica), Alejo Poveda (drums), Ken Hall (marimba lumina), Michael Levin (saxophone, clarinet, flute) and Steve Hashimoto (bass guitar). We attended Teddi and Fred concerts when Becky was little. Becky also attended Teddi’s Music and Movement classes. Teddi and Fred are the best! We highly recommend them. 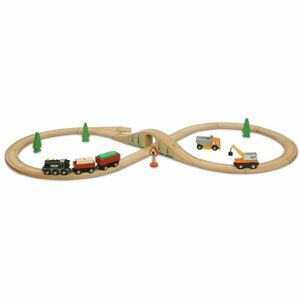 NUCHI wooden railway sets are versatile wooden train sets compatible with Brio and Thomas the Train. They’re designed to foster confidence and creativity by empowering children’s imagination. So what is a train set one day might be something else the next. Children have unlimited opportunities to let their imagination run free and bring to life their wildest dreams with Nuchi’s open ended building components. As they build, they are also learning about math, physics, problem solving and creativity. Nuchi train sets never wear out, require no batteries, and keep kids entertained for hours. And dads become kids again as they create and interact with their children! There are still plenty of warm days to enjoy outside. 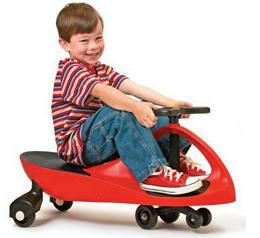 The PlasmaCar is an innovative ride on toy that is perfect for these August days. It is a mechanical marvel that makes use of the most inexhaustible of energy sources-kid power. It’s sleek, aerodynamic design allows the rider to reach an exhilarating speed of 6 miles per hour. It’s great for 3 year olds and up. Even mom and dad can try it! a-splishing and a-splashing. Getting good and wet is always a welcome antidote to a long, steamy day, and it can be loads of fun for all ages. Sometimes the most memorable moments of summer happen right in your backyard with ‘toys’ as simple as a garden hose. Let your children enjoy these hot days while they last. Go ahead and let them get wet and dirty! Isn’t that what summer is for? Try our Beach Ball Blast! Kids are naturally drawn to water play, and it’s a great way to get them outdoors. It engages them in physical play which is so important, and it also helps them develop their sensory acuity, their social and emotional skills, and their imagination. There are many ways for kids and families to immerse themselves in a water-logged day. A trip to the beach, local pool, or water park is an obvious cool-down strategy, but there are many quick and easy ways for kids to enjoy water play in your backyard or the neighborhood park. Some items at Becky & Me are the Soft Sprinkles Tide Pool, the Sand and Water Table, or the Water Balloon Pumponator. Children can also play quite happily in the water with common household items like clean dishpans, meat basters, paint brushes, plastic jugs, pots and pans and more. One of the great things about summer water play is that cleaning up can be part of the fun. Just hose down dirty kids before they come inside and keep a stack of big, thirsty towels by the door. Remember, it’s all part of giving them a healthy, memorable childhood they will treasure for the rest of their lives.